At this year's Tokyo Motor Show, Honda unveiled the EV-STER concept, an electric rear-wheel-drive two-seater convertible sports car. According to the latest reports the concept is headed to production. Honda CEO Takanobu Ito recently spoke with Auto Motor und Sport, in which he revealed that the roadster could be launched with either electric or gasoline powertrains. The concept is powered by a 78 horsepower electric motor with lithium-ion batteries and has a range of 100 miles on a single charge. For the first time ever, Suzuki is in third place in the Japanese domestic automotive market trailing behind Toyota and Nissan, overtaking Honda for combined sales of light commercial vehicles and passenger cars. As per the financial daily Nikkei Shimbun, Suzuki sold 587,874 passenger cars and commercial vehicles, behind Toyota (1,417,984) and Nissan (670,096) and ahead of Honda (581,249) and Daihatsu (524,381) between January and October 2006. So what made this possible? Despite the Japanese econominc recovery, regular car sales are going down. However it is interesting to note that there is a boom of mini car or kei car in Japan now. These are low cost tiny cars limited to 660 cc engines. Suzuki, Daihatsu and Mitsubishi are the only three companies producing kei cars at the present. Kei cars now account for 35% of unit sales in Japan痴 6 million a year car market. A new kei car costs around one million yen ($9000). These mini cars are cheaper to produce and also receive tax benefits from the government. Japanese people do not want to pay more for luxurious cars nowadays as they look at cars as a normal commodity. As Suzuki is the leader in Kei cars, its domestic sales overtook Honda making it the third best automaker in Japanese domestic market now. Suzuki痴 success in other countries such as India, Pakistan and Hungary is also due to the low cost mini cars it produces there. Next year Suzuki will launch a compact MPV (minivan) based on the Splash concept shown at the recent Paris motor show. Al Ain Japan (pvt) Ltd, Is an Exporting Company In Japan Based in Yokohama We are Dealing in all kind of Vehicles like Cars, Vans, Trucks, Buses, Passenger vehicles and more We are Dealing in Japanese Europe and Others too.At the Moment We are Exporting Japanese Used Motor vehicles to Africa, Chile, Peru, Pakistan, Bangladesh, Sri Lanka, Dubai, Saudi Arabia, Australia, New Zealand, Fiji, Durban, Kenya, Tanzania, Uganda. Honda CEO Takanobu Ito recently spoke with Auto Motor and Sport, in which he revealed that the roadster could be launched with either electric or gasoline power trains. The concept is powered by a 78 horsepower electric motor with lithium-ion batteries and has a range of 100 miles on a single charge. For the first time ever, Suzuki is in third place in the Japanese domestic automotive market trailing behind Toyota and Nissan, overtaking Honda for combined sales of light commercial vehicles and passenger cars. As per the financial daily Nikkei Shim bun, Suzuki sold 587,874 passenger cars and commercial vehicles, behind Toyota (1,417,984) and Nissan (670,096) and ahead of Honda (581,249) and Daihatsu (524,381) between January and October 2006. So what made this possible? Despite the Japanese economic recovery, regular car sales are going down. However it is interesting to note that there is a boom of mini car or kei car in Japan now. These are low cost tiny cars limited to 660 cc engines. Suzuki, Daihatsu and Mitsubishi are the only three companies producing kiaa cars at the present. Kia cars now account for 35% of unit sales in Japan痴 6 million a year car market. A new kia car costs around one million yen ($9000). These mini cars are cheaper to produce and also receive tax benefits from the government. Japanese people do not want to pay more for luxurious cars nowadays as they look at cars as a normal commodity. As Suzuki is the leader in Kia cars, its domestic sales overtook Honda making it the third best automaker in Japanese domestic market now. Suzuki痴 success in other countries such as India, Pakistan and Hungary is also due to the low cost mini cars it produces there. Next year Suzuki will launch a compact MPV (minivan) based on the Splash concept shown at the recent Paris motor show. Al ain japan (pvt) ltd is a JUMVEA Certified Japanese Car Exporter with a wide variety of quality Japanese Used Cars and car parts from Japan. Buy Japanese Used Cars, Trucks, Buses, etc in Japan. We are having web stock in our site http://www.alainjapan.com. The vehicle stocks are listed on the basis of maker, type, latest stock, special offers with FOB price and have complete view of the used car in our site. We are dealing with Japanese used vehicles like Japanese used car, bus, trucks with different categories like SUV, sedan, wagon, hatch pack, coupe. We also have several Japanese used car makers like Toyota, Nissan, Subaru, Isuzu, Suzuki, Mazda etc. To buy Japanese used car in Japan is very easy through www.alainjapan.com website to find your perfect car from our stock by searching on the basis of given fields on the site like model, maker, color, category, body style, transmission, fuel, steering, year, cc, km and price, it shows the list of stocks with the status like available or booked, buyer can view the photo of the used car with stock number. Car or Automobile vehicles are very essential for all type of users. Without automotive and vehicles now a days passenger or travelers can’t transport from one place to other place. Automobiles transportation is very important to all type of users. In case if there is no automobile the people can’t reach their destination in an appropriate time. The automobile industry was flourished from 17th (seventieth Century) to till date. Early stages of auto vehicles are less convenient. In, 1769 human transport automobile has been demonstrated. These types of vehicles are not more convenient to the user and transport speed wasn’t increased. Mr. Carl Benz, German engineer gives the new life or new modern invention on car. Carl Benz invented the modern cars as well as he invented gasoline powered engines. From that lots of car inventors are manufactured their products. The brand new car is very expensive when compare between used cars. The used car is very less and then these types of cars help to the middle class people. Huge number of businessman doing the used car business. But most of the cars are imported from Japan. Japan country is one of the best online cars selling and quality used car sellingcountry. From Japan all varieties of used cars are export to all kinds of region in the world. Because, lots of new branded cars used by Japanese people. That type of cars export to other regions in the world. In this case, how the people can get the affordable price Japanese used vehicles or Japanese used cars from Japan. In this case well known Japan Used Car Exporter Company,Alain Japan Company is one of the best and affordable Japan used car exporter from Japan to mainly Sri Lanka, Africa, USA, UK, North America and more regions. And then many other peoples also do this business to worldwide. Apart from this the users canbuy a Japan Used Car, Japanese Used Cars, Japan Used Vehicle, Japanese UsedVehicles, Japan Used Trucks, Japanese Used Trucks, Japan Used Van, JapaneseUsed Van, Japan Used Bus, Japanese Used Bus, Japan Used Carriers and JapaneseUsed Carriers. For online car buyer notification, if you want to buy used car from Japan. Please, the auto company in online or through internet. Then, send a mail or call to them first fixes the price for that exact auto car. Don’t forget to ask for the freight services. Because, this terms and conditions is very important. And then the online user can buy a branded car. Japanese car manufacturers Honda ·leading for the fifth year, followed by Subaru, Mitsubishi, Lexus and Toyota ·in that order ·took the top credits in polls conducted on performing old cars aged between three and ten years . Very few of these cars required repairs in a one year period of use, with Honda leading with the least at just seven per cent cars needing repairs. Subarus have gained notoriety with their brakes failure and axle and suspension problems. Even with Toyota having to recall several thousands of their cars from the showrooms, their reliability rating for Japanese used cars has not fallen. The new manufacturing units for Japanese cars are improving on their cars and it is anticipated that Japanese cars will maintain their number one position for being the most reliable cars. So, if you have decided to buy a used Japanese car, you have not made a wrong decision. 1. Why to Buy a Japanese vehicle? 2. What services we offer to our customers? 3. How can I trust your company? 4. How can I get the best used vehicles available in the Japanese market? 5. May I pay in installments? 1. Why to Buy a Japanese vehicle? Japanese vehicles are famous because of their quality and reliability. Japanese drivers keep their vehicles well-maintained interior and exterior. The annual inspections are very strict and it helps to keep its national fleet in very good conditions. 2. What services we offer to our customers? Our multilingual employees (English,Portuguese,Spanish and Japanese) and with more than 14 years experience will help in your buying process, shipping and reception of the vehicle. We have a 24 hour service through our mailbox and online service (I.e Skype). 3. How can I trust your company? First of all, because of our 14 years experience in this market. Also because of our worldwide presence, we have 8 branches around the world, which allows us to be near to the costumer and solve setbacks quickly. Furthermore, we are member of a very distinguish JAPAN USED MOTOR VEHICLE EXPORTERS ASSOCIATION (JUMVEA), Chamber of Commerce and industry of Yokohama and Japanese Export Association (Export Bureau). 4. How can I get the best used vehicles available in the Japanese market? 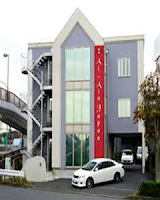 Al AIN JPAN (PVT) Ltd. Is member of all the auction and dealers network in Japan. Our buying department inspect all the vehicles before being auctioned in order to avoid hesitation and mistake in the auction time. Also if you do not find the desire vehicle in our stock, in less than 10 days we will buy it for you in auction. Every day 35000 vehicles are auctions in Japan. 5. May I pay in installments? Prices in our website are really competitive and 100% payment in advanced is required. However, special conditions can apply depending on the quantity of vehicles and costumer request. In 2012, Japanese consumers purchased over one million more new cars than the year before. This year, we’re expected to buy nearly one million more than in 2012. And in 2014? Yep, auto sales are projected to increase by another million or so over 2013. What explains the steady rise in car sales? The answer probably has less to do with new cars drivers are being tempted to buy than it does with the older cars consumers still have parked in their driveways. Without a doubt, there are plenty of exciting new models that have just hit the marketplace or will do so soon. As many as 40 vehicles will be freshly introduced (as redesigns or totally new cars) this year, according to the Wall Street Journal, which is more than twice the number of new cars rolled out in 2012. Speaking of 2012, it was no slouch in terms of auto sales. A Japanesee Post story recently declared that the national economy was saved last year largely due to the strength of new-car sales. At the beginning of 2012, analysts forecasts called for total sales to hit around 14 million, which would have been roughly one million more that were sold in 2011. Automakers and car dealerships happily surpassed the 2012 projections, with approximately 14.5 million new vehicles sold, representing a 13% increase over the prior year. Analysts expect auto sales to rise yet again in 2013, though most likely with a percentage increase in the single digits over 2012. The auto research firm Polk is predicting new car registrations to reach 15.3 million in 2013. Drivers have been making do with older vehicles for years. The average car on Japanese roads in 2012 was over 11 years old, up from 10.6 years in 2010 and 9 in 2002. Despite having a strong 2012, auto sales have been in something of a lull for years. A record-high 17.5 million vehicles were purchased in the Japan in 2005, but after that the industry entered a slump, with a growing segment of consumers opting to repair their older vehicles rather than buy new ones. Restricted access to credit also stopped many consumers from buying or leasing new cars. The Great Recession and continued uncertainty in the economy are rightly blamed as prime reasons that consumers have been hanging onto their cars longer and longer, but they’re not the only reasons. Better built, longer lasting cars deserve some of the credit too; at some point in recent years, it became expected that a car would last at least 100,000 without requiring major repairs, and 200,000 miles became the mark at which an owner could brag about his car’s impressive lifespan—and then just keep on driving it, hassle free. But at some point even the most reliable vehicles must be put to sleep. The average car is 11.1 years old, meaning that there are quite a few automobiles on the road far higher in age than that. We’re talking 15, 20 years old. Each car is different, but overall, the numbers indicate a large portion of vehicles need to be replaced. Accordingly, analysts are now calling for auto sales to top 15 million in 2013, and then to surpass 16 million in 2014. While that’s still below the mark hit in 2005, it represents strong growth for the industry. And while the increase in sales may come partly as a result of the better gas mileage, high-tech innovations, and cool new style offered in the latest cars and trucks, for the most part sales will rise because sales were so weak, relatively speaking, in recent years. All of that “pent-up demand” drove consumers into dealerships for new cars last year, and it’ll continue boosting auto sales in the years to come. Japanese used cars exporting is the world trade by exporting the used Japanese cars and other vehicles from Japan to other markets around the world. Being the highest cost of transport, the Japanese used cars for sale and other vehicles to other countries are more profitable due to the lowest cost and good condition of the Japanese used cars are being purchased. Ah, the allure of that new car smell. But — hold on — isn't the aroma of cold hard cash just as nice? By choosing to buy your next vehicle used, you could walk away with a high-quality car and a healthier bank account. Not only are used cars handsomely discounted compared to their showroom brethren, but also the long-term reliability of vehicles in general has been on the rise for years, according to J.D. Power's 2010 Japanese. Vehicle Dependability Study. Using the power of the Internet to compare makes and models, find specific cars and check out their histories, you can increase your confidence of getting a used car that's almost as good as new. § Step one is to determine how much you can afford. If you'll be selling an old car, consider its cash value, any additional down payment you'll make and what monthly payment fits comfortably in your budget. Get help with Bank. § Websites such as ALAIN JAPAN can help you determine the selling price of your old vehicle and how much you can expect to pay for the used car you're eying. § Getting a quote for auto insurance before buying can also help you understand the true cost to drive the car you're considering. An added benefit of buying used is that costs for collision and comprehensive coverage are generally lower compared to new cars of the same style. § If you'll be financing the purchase, look into auto loans through bank that might offer lower interest rates than a car dealer. Heading into your purchase with pre-approved financing also gives you a leg up in the negotiation process. § When deciding on a make and model, prioritize the list of the features that are most important to you: styling, engine power, gas mileage, seating capacity, cargo space and so on. Be sure to base your list on your everyday realities such as highway commuting, not your daydream scenario like climbing mountain trails. § Be flexible. By remaining open to two to three models that would meet your needs, you'll have an easier time finding a suitable vehicle at a good price. And for a real apples-to-apples comparison of different models, keep in mind that different vehicles in a given class might depreciate at different rates. In other words, give bonus points to a car that tends to hold its value longer, and thus costs you less in the long run. § Forget driving all over town to wander around used car lots. f websites like www.alainjapan.com. Let you narrow down the universe of choices by searching Cars in and around the world. Alain Japan is a members jumvea certified Japanese car exporter with a wide variety of quality Japanese used cars and car parts from japan. Visit Alain Japan for help in finding vehicles and negotiating a good deal.